Congregation Or Hadash, a conservative Jewish synagogue built from a former auto body repair shop. Editor's note: This story is part of CNN's American Journey series to show how old buildings around the United States have found new purposes and helped to build communities. Are there repurposed buildings in your community? Share the stories with CNN iReport and they could be featured in a CNN story. 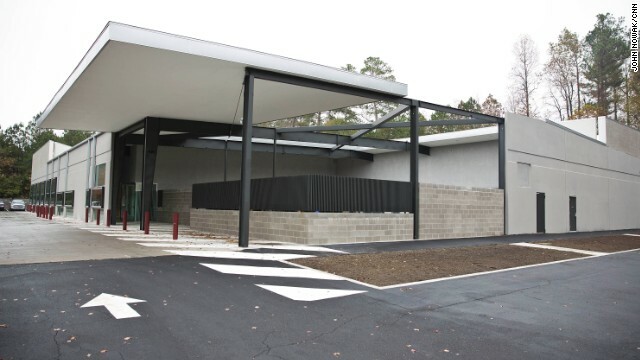 Sandy Springs, Georgia (CNN) - The old Chevrolet paint and body shop was vacant - 24,000 square feet of metal and concrete surrounded by a sea of asphalt. Since it was founded in 2003, the conservative Jewish congregation had bounced from location to location outside Atlanta - a Methodist church, a windowless space in a school, any place they could rent or borrow as they grew. "Sometimes, from week to week, we didn't know exactly where we were going to be," said Fred Wachter, president of the congregation and a member since its early years. "All the while ... we probably walked every piece of available property and real estate in Sandy Springs, trying to find something, anything, that would look like it."